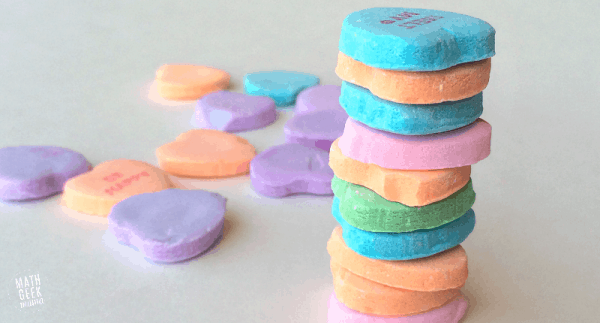 This collection of the best Valentine’s Day Crafts can be used as STEM activities in the classroom and will provide hours of education and fun. It’s easy to get your kids excited about learning when they have an engaging educational activity that is set to a fun theme. As a teacher or parent, you are busy. And tired. Sometimes you need someone to just say, “Hey!! Look at this”. That’s what this post is for. Pick one or two of these lessons or crafts to do as an activity for your kids. It will give you ideas for Valentine’s Day crafts, science lessons, math activities, and more. Stem activities for February have never been sweeter. Science is one of the obvious components of STEM. It’s really easy to talk about science lessons, but finding lessons that can be done with more than 18 busy kids and still be meaningful gets a little harder. Separating out the components of STEM can also seem a little overwhelming. The main thing to keep in mind is that you are covering STEM if you talk about the math involved in an experiment. You are adding technology or engineering if you add in tools or mechanical components. Don’t let the terminology take over your thought process. 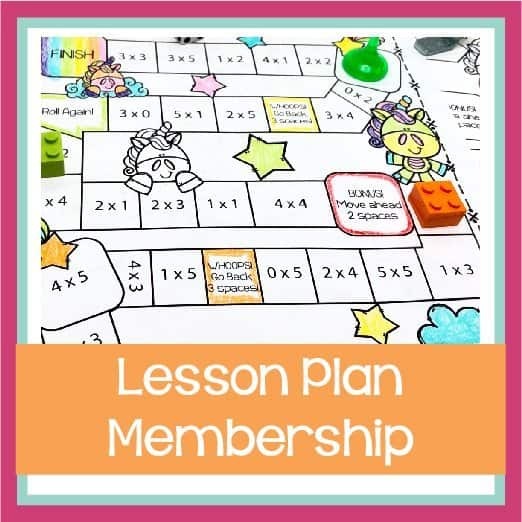 This collection of lesson plans for science, technology, engineering, and math can be used to develop a set of great activities for a few kids or a whole classroom. Supplies are easy to locate and use. Science crafts and experiments are always a hit but we sometimes put them off because they can be overwhelming. Pick one or two of these activities. Have fun with your kids and the process and then let me know what you think. Did you know you can use electrical paint to create a circuit? And then run energy through it to light up an LED bulb? These light up Conversation Heart Valentines are a super easy way to create unique valentines while covering your electricity curriculum. 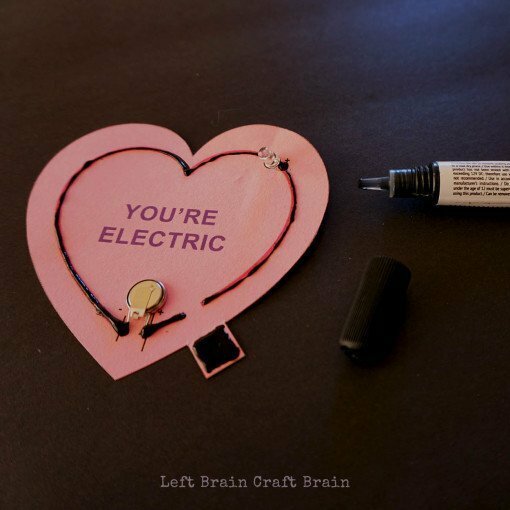 Check out Left Brain Craft Brain for the complete instructions and a free printable template. 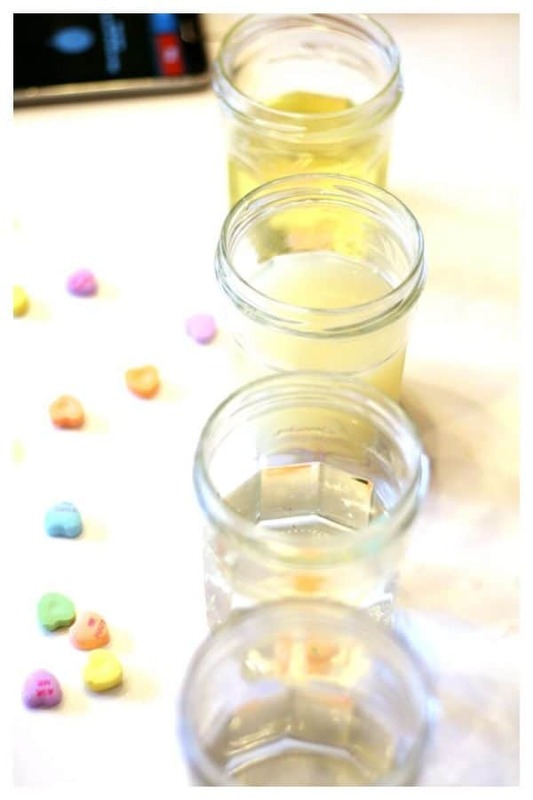 Discuss the acidity of different liquids and how materials will react to liquids with this candy dissolving activity. The supplies are easy to gather and kids will love making predictions, setting up the experiment, and drawing or writing about the outcome. This one isn’t as crafty, but your kids will be love completing the experiment. You can turn it into a math lesson with measurements of the candy hearts before they are added to the liquid and after. Create a diagram the shows the progression of each of the hearts in different liquids. Have fun with it and let your kids lead the direction of your exploration. You can get the complete details and instructions on Lemon Lime Adventures. I think this might be my favorite lesson in the collection. It’s easy to put together and you know the kids are going to freak over it. I can foresee a little craziness and chaos with this one just because they will be so excited about it. Well worth the learning experience though. This Valentine STEM activity will be great for discussing predictions (how far will Cupid fly?). Force and motion (why is the balloon able to travel down the string?). And then measurements and comparisons after the balloons have been launched a few times. Or you could have balloon races and graph the results. Endless learning and fun! You can visit Little Bins for Little Hands to find more physics activities and the cupid template. 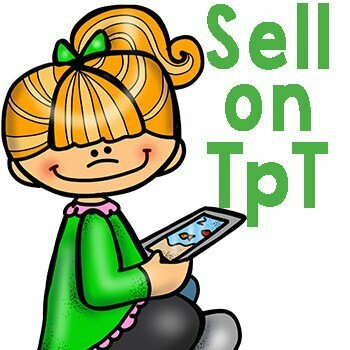 There are a number of fun Valentine’s themed lessons on this site that could keep you busy for weeks! I’m excited to use a few of them in my classroom this year! It doesn’t matter what theme you use for a toothpick structure, it always seems to be a hit. 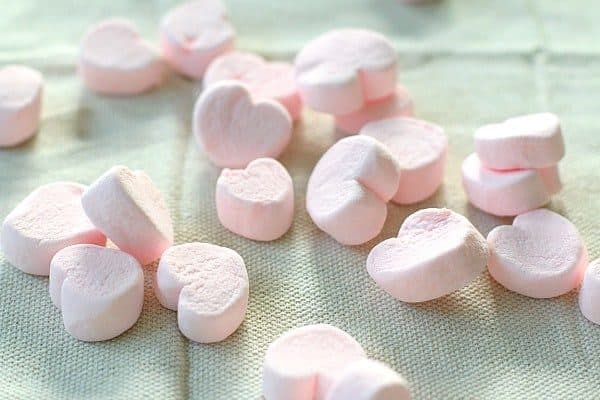 This heart-shaped marshmallow STEM activity isn’t any different. The kids will love designing a structure with marshmallows and toothpicks (and probably eating a few marshmallows in the process). Building with marshmallows and toothpicks gives kids a chance to experiment with different structure types and start to develop an understanding of how structures should be composed to work the best. Stronger structures have a wider base. These are all concepts that will start to emerge and that they will naturally discover as they are building and playing. Encourage creativity and problem solving with this fun STEM lesson. It’s adaptable for any age and all ages love to participate (I did a pumpkin toothpick structure activity for a fall family night and the adults had more fun than the kids!). You can see more examples of more structures on Buggy and Buddy and how her kids created some great geometric designs. This one is a classic. You can adapt any math concept into a BINGO game and kids will love it. 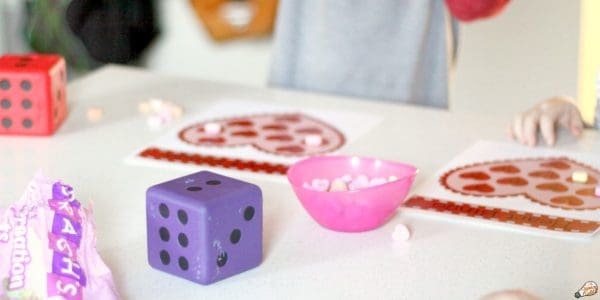 The supplies are easy and if you already have a set of math BINGO cards, you can adapt it by using Conversation Hearts as the markers. You can play BINGO as a whole group or break them into centers. Rolling a set of dice and then asking them to perform a math operation (addition, subtraction, multiplication) will create an engaging learning lesson where they are enjoying the game and not even noticing they are working on math concepts. You can download a ready-made BINGO card and ready about some different variations for the game on Science Kiddo. How about a lesson that is super easy to set up but produces a major amount of excitement and engagement? 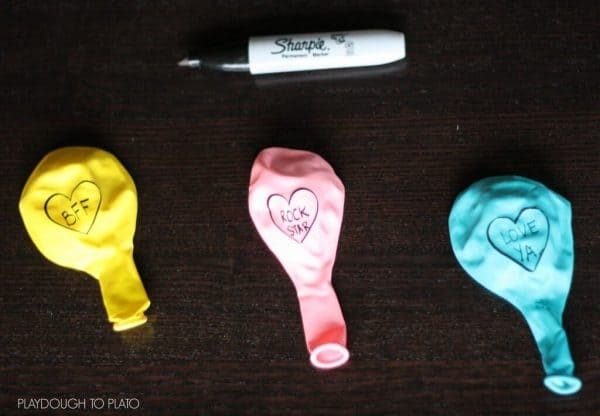 This inflating conversation hearts lesson is sure to inspire your little scientists and be a great addition to your science lesson plans. The supplies are minimal on this one and will make a great discussion about the states of matter, especially gasses which are sometimes a little harder to incorporate or display. You can find the directions and supply list on Playdough to Plato. Looking for another great hands-on activity with Conversation Hearts. This one is great for math (measurement, graphing, estimation) and they can eat their project when they are finished. Kids always love getting a chance to eat the lesson supplies! Little ones can work on making patterns, build hand-eye coordination and dexterity. Older students can work on estimation skills and challenge each other to build higher and higher structures. You can find other ways to differentiate this lesson and a free recording page on Math Geek Mama. You can use this lesson to add a little engineering and create gifts at the same time. Students can make valentines for their family members. 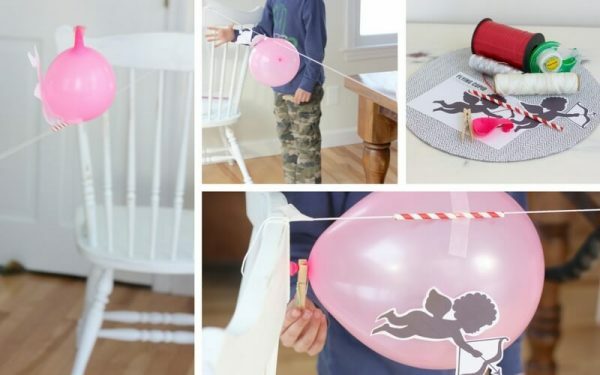 If you are doing this activity at home, your children can make a set of valentines for their closest friends. Math discussions can be about patterns, counting rows and how they increase as the width of the heart grows, and how many Legos are needed for each heart. Multiplication can be used if they are making multiple hearts. You can grab the printables at I Heart Naptime for free. 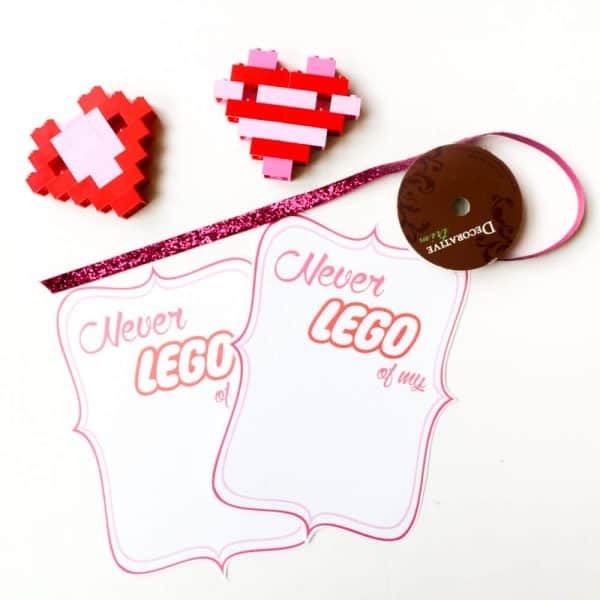 Give the gift of STEM and the joy of Legos at the same time to your favorite Valentine. 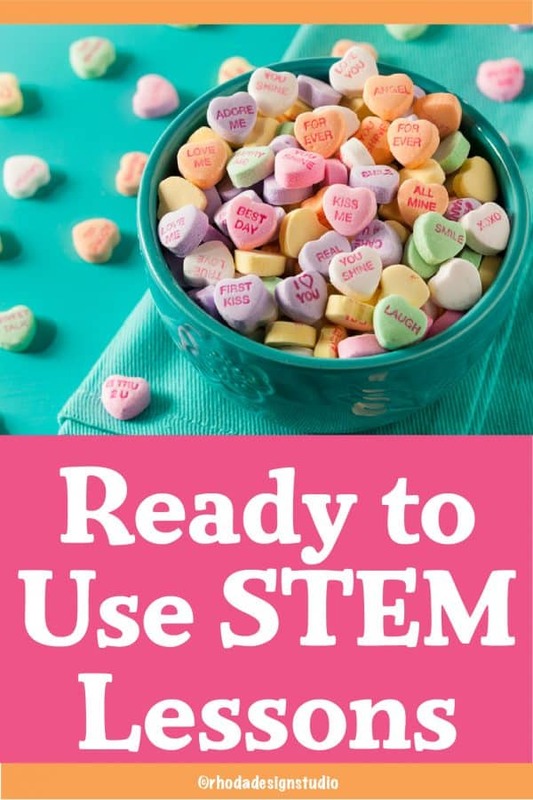 There are so many resources available for STEM activities and valentines crafts. This collection is just a few of the ones I thought would be fun to add to my science lesson plans. My students will love the variety and the fact that we get to experiment. Whether you are are a teacher or you homeschool, teaching your kids to problem solve, experiment, and continue to love the areas of STEM is important. Why not have a little fun in the process. Hello! I'm Rhoda. 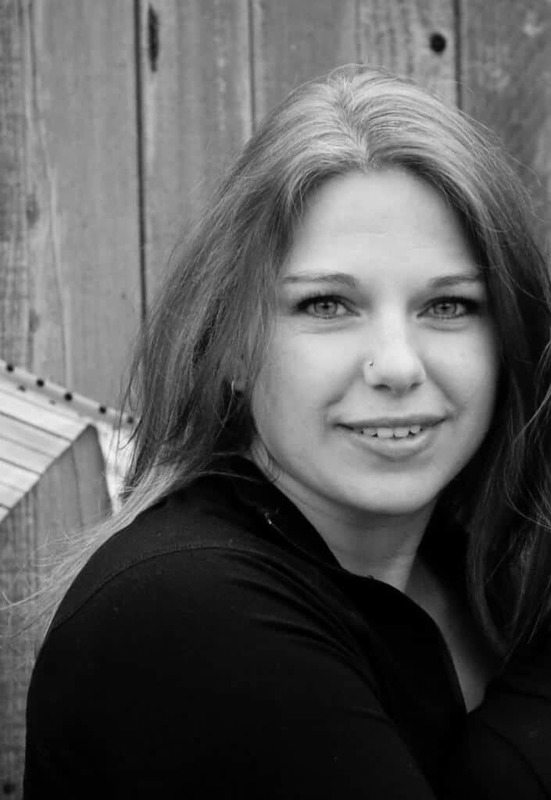 I'm a teacher, wife, and mom of two. Spending time being creative and designing lessons makes me happy! I like getting nerdy on my laptop and learning new things. During the summer I like getting dirty on my Yamaha dirt-bike with the family. It's all about balance.